Our Scrapple is #1 in the nation for a reason. 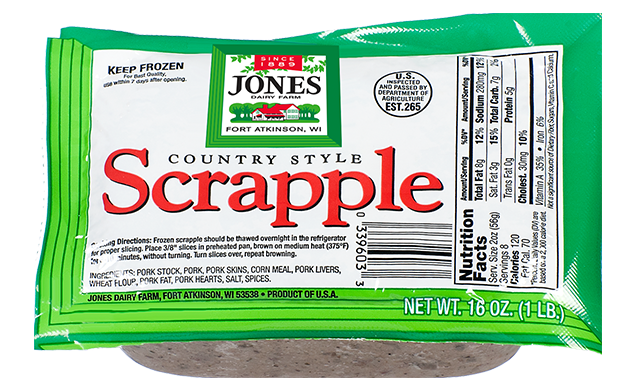 Frozen scrapple should be thawed overnight in the refrigerator for proper slicing. Place 3/8" slices in preheated pan, brown on medium heat (375°F) for 8 to 10 minutes, without turning. Turn slices over, repeat browning.